Every decision made affecting classrooms, public schools and universities, and public service is a political decision. 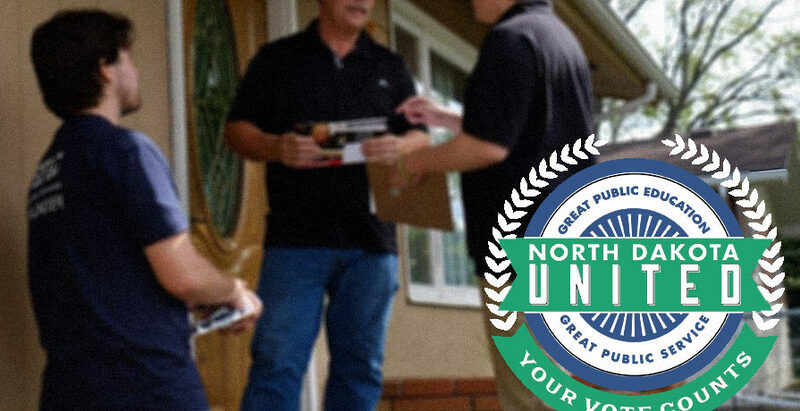 This fall, North Dakotans will elect leaders from across the state who will have a say in your pay and working conditions. Let’s do our part to make sure those leaders are pro-public education and public service. Below is a schedule of times to talk to your fellow union members about the importance of this November’s election. Click on any of the days & times you are available to knock doors or make phone calls from the list below. E-mail NDU Assistant Executive Director Ryan Nagle at ryan.nagle@ndunited.org to let him know where you live, and he can get you a list of NDU members to contact in your area! Exact locations in Fargo & Bismarck to be determined. Exact locations to be determined.